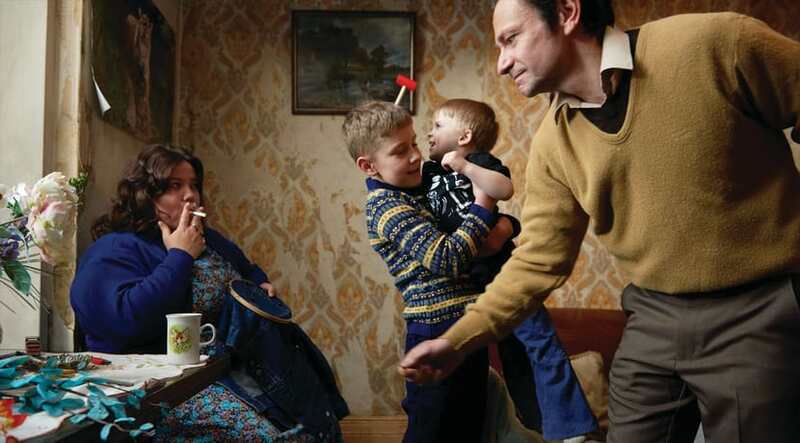 Richard Billingham is a born-and-bred Birmingham photographer, artist and director. His debut feature film, Ray & Liz, is based on his memories of family life from a childhood spent growing up in the Midlands during the 1970s. The film focuses on the lives of his alcoholic father, Ray, his mother, Liz, and his younger brother, Jason, who lived on the margins of society and societal taboos. You wrote Ray & Liz a long time ago, Richard; has your photographic career been a kind of storyboard for the scenes featured in the movie? I made that work in the early ’90s. Maybe I’d have used moving images, a video camera, but the thing is, it wasn’t affordable back then. I think the first video camera I got was in 1996 and that was £1,000. So ’96 was when they first became affordable. I probably would’ve used moving image and moved onto that a lot quicker if the technology had been there. Yes, I used to make audio tapes of friends and family, especially of my uncle. I’d say, ‘Can you do this?’ or ‘Can you take off George Formby?’, and he would. I’d also tape conversations and things off the radio if I thought they were interesting. In fact, I still have some of those audiotapes, and I used them as research for the film. The first time I got a camera I was 19, but I’d been recording since I was about 10, so I guess it was a way of objectifying the world around me. You’re so meticulous in terms of directing. Was it difficult to find actors who were happy with your process? No, I didn’t find it difficult, but it was hard to find actors in the sense that they had to look like family members and to be good actors at the same time. I did do quite a bit of rehearsing. The scene where Ray, Lol and Liz are together, when Lol walks in, I rehearsed a lot. I told them the spaces of the room to inhabit. I was quite specific because I’m trying to recreate things I remember. There’s a lot of specific visual elements in the film, such as your focus on pickled red cabbage. Is that a very strong memory for you? Yes! And the pickle going onto white bread, and then the fingerprints in the bread. It makes it particular. Photography is quite a solitary and personal experience. How did you find it letting others become part of the process, in terms of lighting and design? Photography is solitary, or can be - especially landscape photography. It’s a different sort of process, though; it’s documentary. With film, you have to recreate everything before you can film it - it’s a very different process. I was trying to recreate memories, so it’s just what you have to do. I enjoyed working with lots of different people because it was a learning process. As a photographer, you focus on visual composition, so when it came to sound, you needed something that would complement the visuals. How involved were you with sound designer Joakim Sundstrom? With the voices, for example, the voices of my family are in my head, so that was fine to deal with. Natural sounds were fine too. The only problem I maybe had was that I don’t have many musical memories. When I was a kid, the TV was on all the time. It was very rare the radio was on and we heard songs. So I had help with the music. Jacqui Davies, the producer, helped choose the music that you hear in the film. That was intentional. You have to keep the viewer engaged, and the more visually stimulating it is, the better. Some of the busiest scenes involve animals. Are they a reflection of Ray’s self-imposed captivity, or of Jason being left alone in the flat? When I was a kid and we lived in these four walls, I had a sense that time stood still, and that outside the window, time was moving forward. Time was still for us. There’s a symmetry there with animals and cages; time stood still for them in a way. That was an idea I had, yes. There’s a short story that I was interested in, and I did write a script, but it’s one of those projects that never happened. To go back and do that now wouldn’t make much sense because I’ve done something similar in this film. I might be repeating a lot of things if I made that. When I was a little kid, I do remember watching a film titled A Man Escaped, by Robert Bresson. I remember that film being on the TV and being very intrigued by it. It was very tense, even though it was just this prisoner picking away at the wood of his door. Imagery was always around on the walls. My mum didn’t believe in God - I think maybe she put it up because she saw it around when she was a kid. My uncle believed in God - Lol, in the film, he believed in God. It adds texture and maybe tells you something about the characters. If you were to make another film, do you feel you’ve said everything you want to say about the world of Ray and Liz? I think so, yes. It’d be completely different. I am writing things, but I haven’t tried to seek out any scripts.